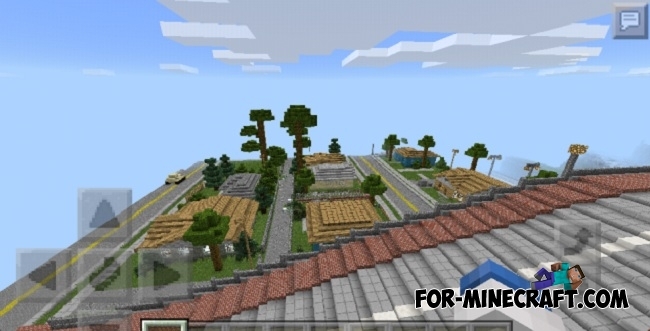 I think many of you have played this game and GTA San Andreas Map will remind you about it. You spawn at Groove Street and you will see the very same houses that were used in the game. If you spent a lot of time on this game then you can easily remember all these places. Some homes have interior so you can go inside or use it for yourself and decorate. 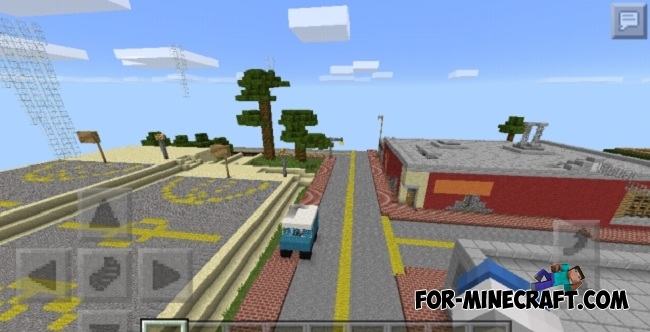 Of course, this is not the entire GTA SA map for Minecraft PE, but this piece contains a bit of nostalgia. How to install the map? Unzip the download folder here /games/com.mojang/MinecraftWorlds/.